So the media is currently having yet another field day at the expense of France-based company Ubisoft. It’s almost worth saying “another year, another Assassin’s Creed leak” considering the last 3 titles all got leaked prior to the year they were due to come out. What’s not helping this particular leak is the fact that AC: Unity is still fairly broken at the moment, with Ubisoft even admitting it themselves, with promises that the planned DLC will come free to players. And let’s face it, it’s not exactly been a stellar year for Ubisoft overall. Watch Dogs garnered intense criticism for being fairly average in terms of gameplay, not to mention the massive downgrade in graphics, which they then had the cheek to leave the unused files in the PC version anyway. While Watch Dogs sold remarkably well in the UK, the audiences weren’t happy with the graphical withdrawals, which lead to a widespread backlash over the internet. Wii U users were also cast aside by Ubisoft for this title and were forced to wait several months for a ported version which is getting hardly any support. Speaking of Wii U owners, Ubisoft may as well have flipped the bird at them earlier this year, saying that Watch Dogs “will be the only mature game we publish on it.” Yves Guillemot, CEO of Ubisoft, seemed at the time very quick to blame the install base on Nintendo’s system, you can hardly say they’ve gone out of the way to support it. What games have come out (it’s mostly Just Dance and bad Assassin’s Creed ports) have been released with little fanfare in the UK at the very least, and all but ZombiU having anything in terms of proper support. The lack of quality from Ubisoft is starting to shine through with its busy release schedule. Both Watch Dogs and AC: Unity scored fairly averagely, instead of the higher scores we are used to. The worry of poor sales through reviews is clearly something that is playing on Ubisoft’s mind, considering the awkwardly timed embargoes placed upon three of it’s latest releases (The Crew, AC: Unity & Rogue). Both of this year’s Assassin’s Creed games had post-release date embargoes for the US, where they were released first. This seemed to suggest that Ubisoft was a little concerned by the quality of the release, so they decided to censor their audience so they could make a quick buck of unbeknownst gamers. Sega also pulled a similar tactic earlier in the year, with the simply awful Sonic Boom titles. While reviewers, regardless of the size of the website/publisher they are writing for, shouldn’t just expect review copies on their doorstep, it does appear to be quite a telling correlation between lack of quality and lack of early reviews. Reviews serve a purpose to be viewed by prospective game buyers and you should take them with a grain of salt and use your own judgement to see whether or not you should make that purchase. It makes me worry for The Crew that the embargo only just got lifted today and makes me wonder if the correlation is set to continue once more. And back we are to leaks. AC: Victory is going to be set in London during the 19th century. 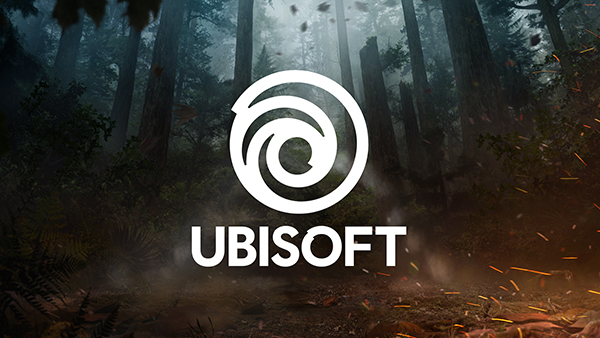 This new entry in Ubisoft’s annual open-world action series is slated for release in the fall of 2015 and will be coming to Xbox One, PS4 and PC. We’re not going to go into massive detail about the game here, due to our policy of not posting articles that are based upon leaked information. If you want to read up on it, click here (Kotaku). It’s not all bad though. Far Cry 4 is off to a great start we’re hearing (it also wasn’t embargoed posted launch…) which is great news for Far Cry fans, which leaves with the hope that maybe, just maybe, The Division, when it releases, won’t be all that bad.